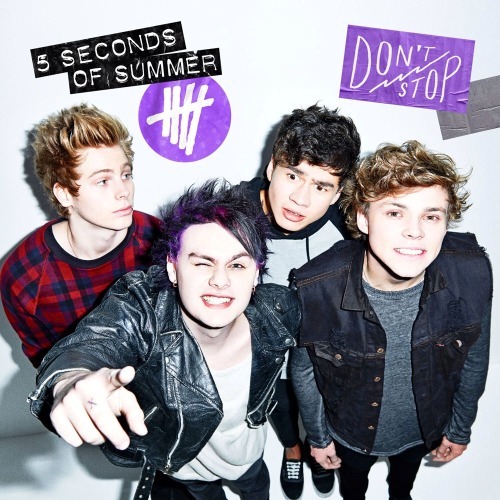 5 Seconds Of Summer have revealed the artwork for their next single "Don't Stop," which can be found below. The track, which is expected to appear on the band's debut album (due out later this year), will be released June 15th (except USA, Canada and Mexico). A music video for "Don't Stop" will be released in the coming weeks. 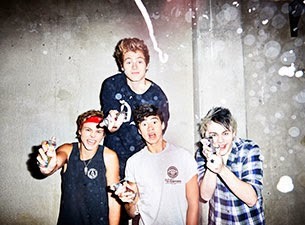 Dates for 5 Seconds Of Summer's upcoming North American tour supporting One Direction can be found here.